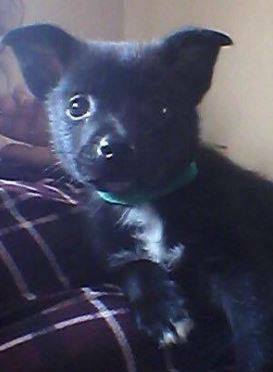 Elmo is a 12 weeks old male Pom/terrier mix. Elmo is a sweet heart that loves following you around the house. He loves been on your knee and snuggling into for a snooze. Elmo is 90% house and crate trained. He loves playing with his teddy and playing tug of war with his doggie and human friends. Elmo would live a family who is home most of the day. Elmo will be small when fully grown and will need 2 short walks daily. He is vaccinated and microchipped and already for his new home.